Be it Twitter, Facebook, Vine or Instagram, social media has become an inseparable part of not only our lives but our businesses too, to the point that if a business doesn’t have a strong social media presence, it is just not cool enough. However, just jumping into the chaos isn’t such a smart thing to do either, you need to be the smart one and derive order of it. Add method to your madness. Keep these seven lessons in mind for your next social media maneuver. Content is King, and high-quality content is your ace. Just because you’re tweeting every two seconds, doesn’t mean it’s hitting the right chords. People have become surprisingly conscious about what they’re sharing or being associated with. Things like “1 like= 1 respect” just don’t make the cut, it is stupid and will only attract further stupidity, which isn’t something you want for your business. Make sure your content is creative, interactive and engaging. More importantly, make sure it’s in impeccably accurate grammar; you should know by now that the people of the internet don’t take too kindly to bad grammar. Don’t be a one hit wonder. You have that one post that has almost gone viral and has brought you maximum followers, don’t think it to be the end of all brainstorming and most definitely don’t continue to bask in the glory of that one move. Set high standards, keep the quality consistent. Don’t forget that if your audience could take the trouble to go ahead and ‘like or ‘follow’ you, they won’t hesitate even for a second to change that. The ultimate beauty of social media is that it enables and encourages two-way communication, irrespective of the location. Respond to their queries, personalize your posts, and comment on your followers’ posts. Prompt responses will not only impress your audience but also make them think of you as someone who actually cares about its customers. And who doesn’t love that bit of attention? If you can’t make it funny, make it beautiful. Instagram has some pretty awesome filters that manage to make any dull picture look at least mildly interesting, if not fabulous. However, filters are no excuse for shoddy pictures. Good quality pictures mean a good page/account, and it helps you gain acceptance and create a better user experience. There are way too many questions when it comes to this simple symbol. What purpose does it serve? Is it even cool to use them in the first place? Just how many hashtags are fine before you cross over to the wannabe side? Is it professional enough? Hashtags serve one very simple purpose; they take your tweet/post/picture and put it out there for millions of users to see. Use current affairs and pop-culture relevant hashtags for easy visibility. Simply put, hashtags are an easy and elegant solution to make sure your brand is seen by A LOT of people. It’s always nice to let people know what goes into making your business the awesomeness that it is. It’s a nice way for your audience to get to know your company better. Moreover, in case you’re a budding business and are looking for new talent, a behind-the-scenes things works wonders, especially if it’s on Vine, Instagram or Facebook. 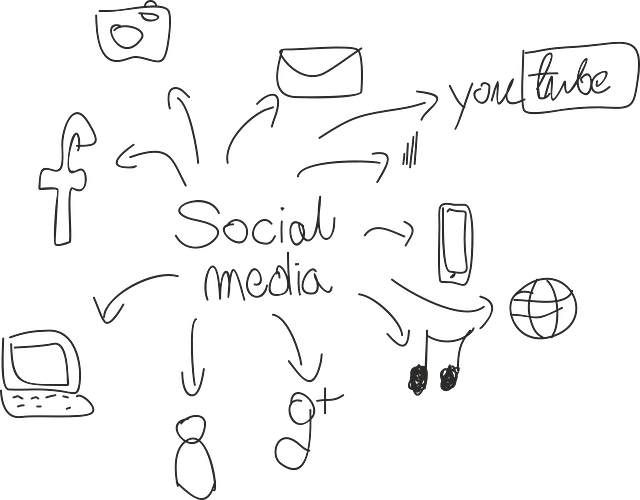 Social media may be simple to use, but when it comes to using it for business purposes, things take a whole new precedence. Vine may have videos that are only six-seconds long, but those six seconds go a long way in deciding the future of your brand’s social media presence. There is no room for faux pas, but no one is born a pro. Practice what you post. Research on the internet; even watch and learn, if you have to. It’s important for you to figure out what can go wrong on any of the platforms and exactly what you should do to avoid that. Keep it intelligent, creative and classy, and nothing will stop your social media marketing from emerging victorious.